With over 90 large format department stores throughout the country (and a Toronto flagship sized at nearly 1M sf), Canadian retailing powerhouse The Bay (that dates its founding back to that of Canada itself, under a royal charter in 1670 from King Charles II) aiming to create a fresh, inspired and elevated brand mix under the direction of its new ceo, retailing legend Bonnie Brooks, engaged Gogoluxe to help organize that effort. 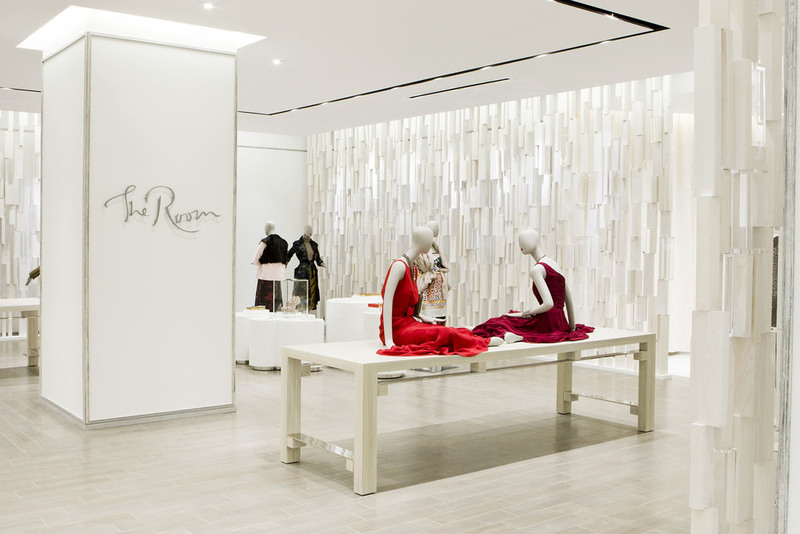 Gogoluxe developed a brand wish-list strategy, endeavored on The Bay’s behalf to acquire those labels, and realized success upon the opening of designer department 'The Room’ & adjacent contemporary offer ‘The White Space’ (both designed by noted firm Yabu Pushelberg). The diverse range of brands acquired span Proenza Schouler, Jason Wu, Thakoon, Rodarte, Joseph Altuzarra, Prabal Gurung, Rosie Assoulin, Alexander Wang, 3.1 Phillip Lim, Carven, Theory, Helmut Lang, DVF and many others. Gogoluxe continues to source and negotiate brands for The Room, along with developing creative projects and collaborations for in-store and marketing campaigns.